You will find some blooming fantastic deals on flowers which will help stem the flow of money from your account as you will earn a bunch of cashback and vouchers when you buy. Order flower delivery at iflorist. Buy flowers and Champagne for Mother's Day or Valentine's Day, to say 'thank you' or 'I love you' and get cashback. Visit Flowercard for personalised gifts and cards. Buy flowers or chocolate to say 'thank you', for Christmas or a birthday and earn cashback rewards. 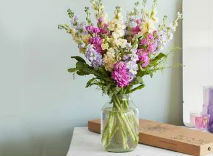 Send flowers for Mother's Day, Valentine's Day, Christmas or to say 'thank you' in the UK and Ireland with Teleflorist. Order roses and earn cashback. Order flower delivery for London and the UK at Flower Station. Buy flowers, gifts and balloons for Mother's Day or Valentine's Day and earn cashback. Shop for silk flowers and artificial plants at Bloom. Buy Christmas decorations, poppy, tree and iris gifts, roses and tulips and earn great cashback. 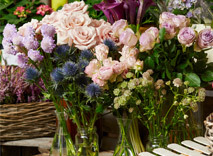 Order flower delivery for Mother's Day and Valentine's Day at Arena Flowers. Buy roses to say 'thank you' or 'I love you', add gifts and get cashback.